Focus Fetuares has released an interactive trailer of the big screen adaptation, drama film Anna Karenina directed by Joe Wright that is adapted from Leo Tolstoy’s 1877 novel. It stars Keira Knightley, Jude Law, and Aaron Taylor-Johson. Joe Wright (“Pride and Prejudice”) reunites with his on-screen muse, Keira Knightley, who plays the Russian aristocrat, trapped in a loveless marriage. 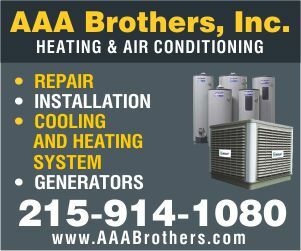 Karenina then finds herself in the passionate throes of adultery with Count Vronsky (Aaron Taylor-Johnson), who urges Anna to leave her marriage and begin a new life with him. The story unfolds in its original late 19th century Russia high-society setting and powerfully explores the capacity for love that surges through the human heart, from the passion between adulterers to the bond between a mother and her children. As Anna Karenina questions her happiness, change comes to her family, friends, and community. “My God, he hates her!” Keira Knightley observes of Tolstoy’s attitude toward Anna Karenina. Rereading the book in preparation for playing Anna on screen in Joe Wright’s new film, Knightley was struck by the sheer animosity that the Russian author had for the heroine of his novel. The film has received positive to mixed reviews, from critics. It currently has a Metacritic rating of 67 out of 100, indicating “generally favourable reviews” from critics, with most praising the cast (particularly Knightley) and the production design but criticizing the script and Wright’s apparent preference for ‘style over substance’. Oliver Lyttleton of The Playlist awarded the film a B+ and called the picture a “bold re-imagining” of the classic novel, comparing Wright’s vision to the films of Powell and Pressburger. He noted how Knightley “continues to go from strength to strength” and also praised Law as “excellent.” Even though he speculated that “the film is going to divide people enormously”, he concluded it was one to “cherish despite its flaws”n .IaFreer of Empire awarded the film four stars out of five and was effervescent in his praise for Wright and the final result: he said “Anna Karenina militantly doesn’t want to be just another costume drama; it attacks the heavyweight concerns of Russian literature (hypocrisy, jealousy, faith, fidelity, the pastoral vs. the urban, huge moustaches) with wit and verve; most exciting of all, it is filmmaking of the highest order, channeling every other art form from painting to ballet to puppetry while remaining completely cinematic”. In The Observer Jason Solomons also called Knightley “superb”, and declared that the film “works beautifully…[it is] elegant and exciting [and] …incredibly cinematic”. Leslie Felperin of Variety was more reserved in her praise for the film, observing that although Wright “knows how to get the best from Knightley” and noting that the film was technically “glorious”, it was also “unmistakably chilly” in the storytelling.The Mirror singled out Knightley as “excellent” and lauded Wright for “offer[ing] a fresh vision of the Tolstoy classic”, concluding the picture to be “with its beautiful cinematography and costumes… a real success”. 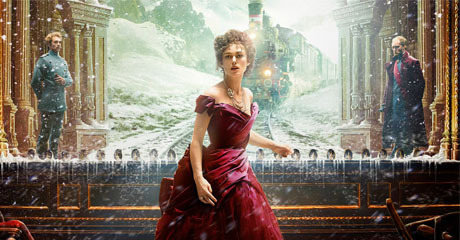 Anna Karenina” hits theaters on November 16. ← Don’t Miss Victoria’s Secret Show 2012!